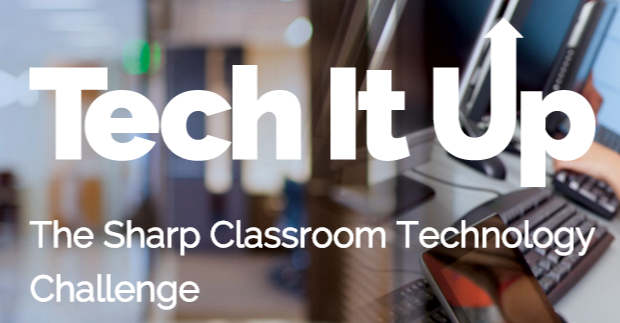 Tech-It-Up – The Sharp Classroom Technology Challenge, is a contest which will award more than $100,000 worth of classroom technology to K-12 Schools across the United States as a continued effort to support education technology. Hosted by Sharp Electronics, one K-12 accredited school in the U.S. will win a grand-prize of $100,000 worth of state-of-the-art Sharp branded products for their classrooms, providing their students with a technologically advanced learning experience. Sharp will also award an AQUOS BOARD™ Interactive Display System to 10 runner-up schools. For a chance to win, tell them how your school would integrate Sharp technology such as interactive whiteboards, professional display monitors and document systems (multifunctional copiers) to improve your students' educational experience. How would your students benefit by this award? Schools will have until April 30, 2015 to enter; the winner will be announced on or about May 15, 2015. Entries must be submitted online: www.sharpusa.com/tech-it-up.